Moderate to High – like able with intriguing, sympathetic leads. Imminent Danger Rating: High Voltage! The story is constantly moving forward, getting more perilous and eerie with each chapter. Girl meets boy and uncovers world of ancient supernatural beings / curses. Yes! This is not another whiny broody Edward and Bella type supernatural romance that builds up to nowhere. Kassel puts a unique spin on things by creating her own unique supernatural mythos. Her portrayal of certain characters hits the right accurate note in displaying / portraying physical aspects and mannerisms that enhance those characters already likable qualities. Unique Characters, dangerous high action sequences, creepy antagonists, introduces new supernatural elements / creatures and good pacing due to clean writing. I don’t normally read young adult fiction that often, but it’s always a pleasure when I find a series or standalone title that is as enjoyable as this one. 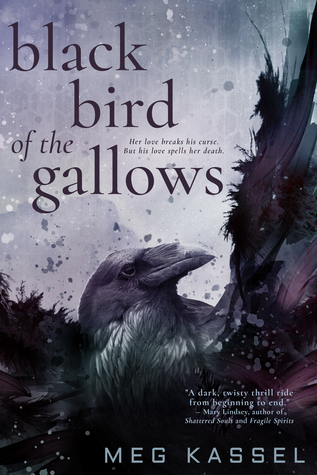 I am really glad that I was able to meet Ms. Kassel at BookExpo, where I received a copy of Black Bird of the Gallows. I hope other people who enjoy supernatural romantic books with an adventurous / gothic feel enjoy this title too and look forward to following along with this author’s future work. Stay tuned for more book reviews, interviews and over all fun at the site. Subscribe today and have new blog posts sent straight to / be notified by your mobile or electronic device of choice. Share with other people you believe would like this content and feel free to follow us on social media or send a message!